Is the Kremlin Really Afraid of a Farmer? With this publication UkraineWorld starts a bi weekly information warfare digest aimed at tracking Russian efforts to influence Ukrainian information area ahead of and during presidential (spring 2019) and parliamentary (autumn 2019) elections. Russia has been pursuing its hybrid war ever since the collapse of the Soviet Union. Its activities in Ukraine began right after the latter declared its independence; Russians have been issuing passports to Ukrainian citizens in Crimea as early as 1993. NGOs organized by the Russian government were also active in Crimea and Donbas well before Russia's latest acts of aggression. Additionally, Russia has always been active in Ukraine's information environment; the country's TV programmes, movies, series, books and print media have been dominating on the Ukrainian market until 2014. When conditions turn favorable, Russia transitions its subversive actions into military force – as it did in Ukraine in 2014. Given its experiences with its northern neighbor over the past 27 years, a look at the history of Russia's information warfare in Ukraine might be useful. We have compiled a list of ten studies of Russian propaganda in Ukraine that are now available in English and that might be useful for anyone interested in how the Kremlin's disinformation campaign works. This analytical publication by Internews Ukraine and UkraineWorld is an overview of the Ukrainian experience of dealing with Russian propaganda and information warfare. It was written by a group of Ukrainian authors based on their own research and on the interviews they conducted with key Ukrainian civil society and media experts in information analysis, studying Russian propaganda, debunking fake news and information security. It contains analysis of Russian propaganda/disinformation actions perpetrated in Ukraine, including their key messages, approaches, communication channels, etc. It also contains policy recommendations for the international community and the Ukrainian authorities. StopFake has been actively reporting Russia-originated fakes and checking the facts since 2014. Over the last years, the team has debunked over 1000 myths. 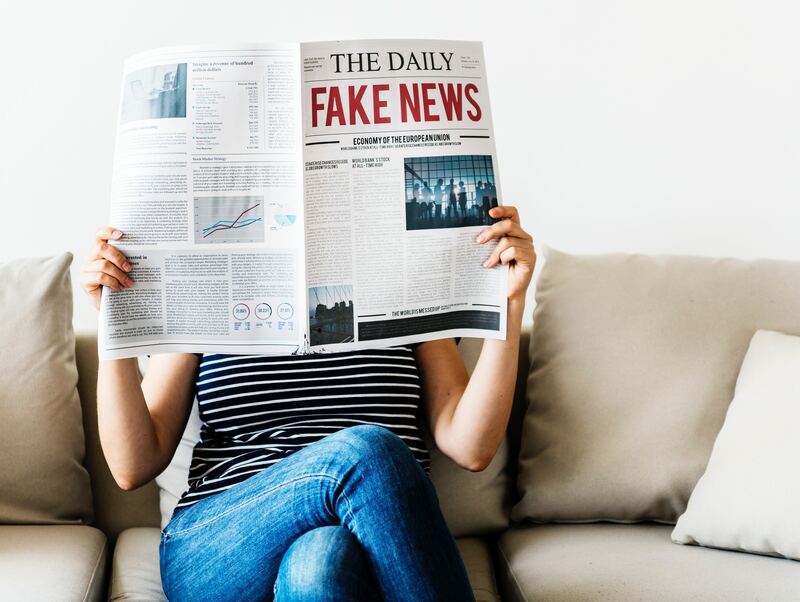 In their September 2018 report, StopFake researchers have analysed 919 stories and messages, published or broadcasted from March 2014 to June 2017 which were in the spotlight of StopFake. The report identifies a list of media that were sources or distributors of fake stories. It also lists key tendencies in the spreading of fake stories by different types of media. Researchers also trace the overall structure of fake stories and themes in the narratives about Ukraine constructed by Russian propaganda. Texty.org.ua, a Ukrainian media which works with data, used machine algorithms to examine approximately a million of texts published on "junk websites" within a year. "Junk websites" are a part of a huge ecosystem of websites that exist exclusively to draw in traffic. It is a mix of fake news, real news, slightly changed news and misinterpreted news. In total, these websites reach around 50 million of visitors per month. The Ukrainian organisation Vox Ukraine has analysed a dataset with more than 9 millions tweets "believed to be connected to the Russian Internet Research Agency". The published data contain information about 3,667 accounts handled via this Russia-based troll farm. 74,957 tweets from this sample were about Ukraine — these were generated by 1369 accounts. The research contains key information about these accounts, constructs a timeline of their activities and lists key topics Russian trolls were working with. The Kharkiv-based data research company Singularex conducted research on how the black market of social media manipulation is organised. The researchers have identified multiple service providers which allow users to buy likes, positive comments and followers on different social networks. These tactics can be used tomanipulate public opinion about goods, services, and even politics. Thus, most of the clients of social media manipulation services are politicians and businessmen. These services are based in a variety of countries, but the three main software developers and the bulk of infrastructure maintenance services are Russian entities, and many of them operate openly from Russia. This study is a follow-up to "Words and Wars," published byInternews Ukraine and UkraineWorld last year. It is aimed at describing the challenge of Russian information warfare with regard to Ukraine and what to do about it. The study explains how Ukrainian experts have come up with solutions to problems that their country began to face before many other countries in the world did — problems that have since become global. The researchers make policy recommendations to the international community, to national governments and parliaments, to Ukraine's government and parliament, to civil society (both national and international), and to EU institutions. UCMC's Hybrid Warfare Analytical Group has been studying Russian propaganda as a method based on narratives. In this research, the group looked into the methods, instruments and messages utilized and conveyed by Russian mass media in order to produce threat narratives about the West — mostly about Ukraine — for Russian domestic audience. The research describes Russia's media landscape and identifies key actors in spreading disinformation; analyses the different strategies Kremlin uses on TV and on theinternet; and also deciphers key narratives spread by Moscow. Hybrid Warfare Analytical Group also regularly publishes breakdowns of Russian major political talk-shows — these can be found here. This report by Kremlin Watch analyses the different ways in which Ukraine has tried to combat Russian information attacks. It covers the period from the annexation of Crimea until the end of 2017 and assesses the effectiveness of state and civil society activities in Ukraine. These report discusses four categories of response: putting hostile disinformation efforts on the foreign and security policy agenda; publicly challenging supporters of Kremlin-sponsored efforts; exposing disinformation campaign substance and vehicles; and systematically building resilience to propaganda within free societies. The study also contains main lessons learned from Ukraine's experience in fighting Russian disinformation. This article by Chatham House researchers explores the dynamics of digital disinformation in the conflict between Russia and Ukraine. By examining the social media engagement generated by one of the conflict's most important events—the downing of the Malaysian Airlines Flight 17 (MH17) over Ukraine—the study explores how competing claims about the cause of the plane crash are disseminated by the state, media and civil society. The authors analyze approximately 950,000 tweets. The study demonstrates how individual citizens are more than purveyors of government messages - they are the most active drivers of both disinformation and counter-information. The authors challenge assumptions about state-orchestrated information warsover Ukraine and point to the importance of citizen activity in the struggle over truths during international conflicts. This report by the Atlantic Council Eurasia Center seeks to expose a less often discussed element of the Kremlin's political warfare: the cultivation of political allies in Europe's core. Its researchers acknowledge that Kremlin's tentacles do not stop in Ukraine, Georgia, or East Central Europe — they reach far and deep in the core of western societies. The Kremlin's undercover methods of operation are comprehensively shown in another study by the Atlantic Council: "Hiding in Plain Sight: Putin's War in Ukraine." This study provides irrefutable evidence of direct Russian military involvement in eastern Ukraine, even though Russia's leadership denies the direct involvement to this day.